They say you can’t teach an old dog new tricks, but Pasadena’s Dog Haus has spent the last six years putting a scrumptious spin on a perennial foodie favorite: the not-so-humble hot dog. Founded in Pasadena in 2010 by friends Hagop Giragossian, Quasim Riaz and André Vener, Dog Haus’s popularity quickly spread to greater Los Angeles and beyond. 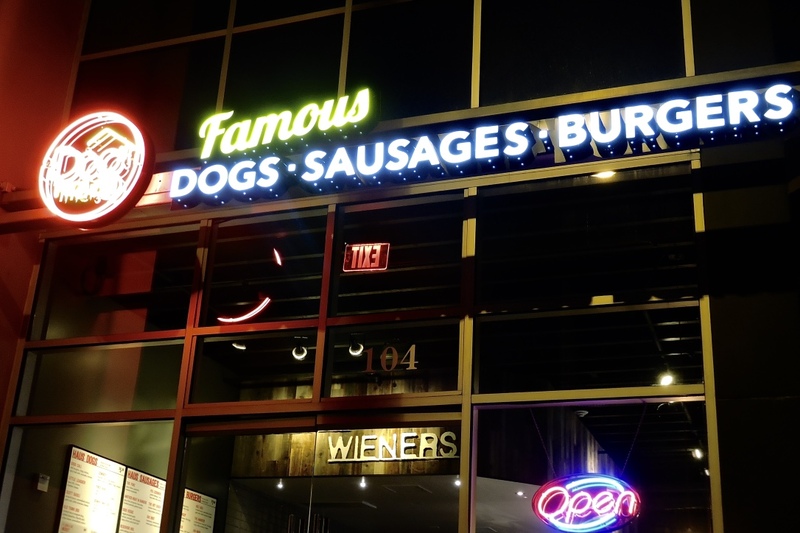 Picking up a slew of awards along the way, its gourmet-yet-casual dining concept elevated dogs, sausages and burgers to a new level with inventive and delicious flavor combinations. The Dog Haus menu also honors fellow hometown purveyors with a craft beer program spotlighting local brews and sweet treats from Alhambra-based Fosselman’s Ice Cream Co. The brains behind the buns are a force to be reckoned with, as the Haus founders share a long history of involvement in Pasadena. Before Dog Haus, Vener founded and owned the well-known redwhite+bluezz jazz club, Point08 Mixology Bar and Pasadena Entertainment, all while serving as the CEO of the California Philharmonic for 10 years. Former NeoMeze restaurant owners Hagop Giragossian and Quasim Riaz brought the buzz to coffee addicts in the area with their Boar Java coffee truck, and still own Kings Row Gastropub today. This collective culinary expertise helped inform the communal ambiance that has been so well-received at the two Dog Haus locations in Pasadena. One defining feature of what makes Dog Haus unique is its focus on accommodating varying palettes. Vegetarians can swap in a veggie dog for any item, and conscientious carnivores can rest easy in satisfying their cravings with 100% natural Black Angus burgers from humanely-raised cattle or the famous 100% all-beef skinless Haus Dogs and Sausages. Adventurous eaters may opt for cleverly-named menu options (like the popular “Sooo Cali” dog or “Another Night in Bangkok” sausage) or build their own tasty combination from among 30+ available toppings. Weeknight imbibers can grab a food-and-drink special during one of the Haus Happy Hours, too — but whatever one orders, don’t miss out on Fosselman’s ambrosial vanilla soft-serve, which is quite possibly better than anything labeled “vanilla” has the right to be. 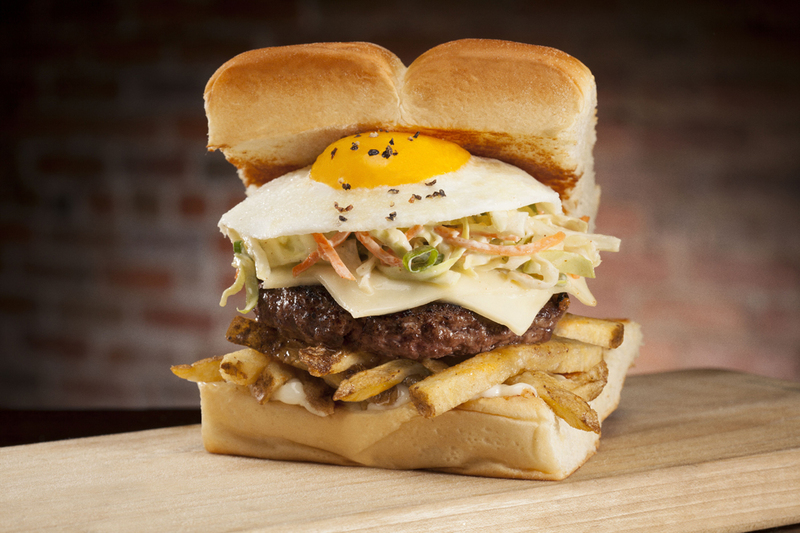 For foodies yet to experience Dog Haus cuisine, they’d benefit from hopping on the train soon. The partners recently announced a franchise development of over 450 new U.S. locations, which will soon make Dog Haus a nationally recognized brand. We wager there are few things more satisfying than saying, “we loved them before they were famous” — well, except for a Sooo Cali dog on a Hawaiian sweet roll. Dog Haus operates over 15 locations in Los Angeles, including its storefronts at 105 N. Hill Avenue and 93 E. Green St. in Old Town Pasadena. Contact them at 626.796.4287 | info@doghaus.com | the Dog Haus website, and find them on Facebook, Twitter or Instagram @DogHausDogs.